Gilman Law LLP, a leading national securities law firm, is actively investigating shareholder claims that The Cooper Companies, Inc. (“Cooper” or the “Company”) and certain of its officers and directors violated the Securities Exchange Act of 1940 by issuing false and misleading statements concerning Cooper’s quality control, dangerous defects in its manufacturing processes, business fundamentals and financial guidance that caused the Company’s stock to trade at artificially inflated prices. If you purchased or otherwise acquired shares of Cooper (NYSE: COO) between March 4, 2011 and November 15, 2011, (“Class Period”), and either lost money on the transaction or still hold the shares, you may contact Gilman Law LLP by no later than January 27, 2012 (“Class Period”) to exercise your rights against Cooper. Based in Pleasanton, California, Cooper, through its wholly-owned subsidiary CooperVision, develops, manufactures and globally markets contact lenses. A shareholder class action lawsuit has been filed in the U.S. District Court for the Northern District of California on behalf of purchasers of the common stock of Cooper between March 4, 2011 and November 15, 2011. The complaint alleges that Cooper violated the Securities Exchange Act by failing to disclose the following facts: (1) Cooper failed to disclose that CooperVisions’s new Puerto Rico and UK manufacturing facilities were experiencing serious manufacturing process defects and quality control problems, resulting in dangerously high levels of silicone oil residue being left on the contact lenses; (2) Cooper contact lens users were experiencing high incidents of severe eye pain, torn corneas, and requiring extensive medical treatment; (3) CooperVision’s sales of contact lenses would be adversely impacted once physicians learned of the quality control and product safety problems as they would stop prescribing Cooper lenses; and (4) Cooper had intentionally downplayed the extent of the Company’s quality control problems and the breadth of products involved in the August 2011 recall announcement. As a result, it was not possible for the Company to meet the fiscal 2011 and 4Q 2011 financial guidance during the Class Period. If you purchased shares of Cooper during the Class Period and would like to consider serving as lead plaintiff or have any questions about the lawsuit, please contact Kenneth G. Gilman, Esq. of Gilman Law LLP at (888) 252-0048 or complete the form above. Lead Plaintiff motion papers must be filed with the Court no later than January 27, 2012. A Lead Plaintiff is a court-appointed representative for absent class members. You do not need to seek appointment as Lead Plaintiff to share in any class recovery in this action. If you are a class member and there is a recovery for the class, you can share in that recovery as an absent class member. You may retain counsel of your choice to represent you in this action. Gilman Law LLP is one of the country’s premier national law firms that represent institutional and individual investors in class action, complex securities and corporate governance litigation. 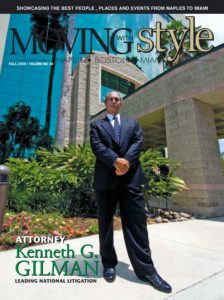 The firm has been a champion of investor rights for over 40 years and has been recognized for its reputation for excellence by the courts. Gilman Law is ready to assist investors nationwide who have sustained losses as a result of the misleading statements made by Cooper. 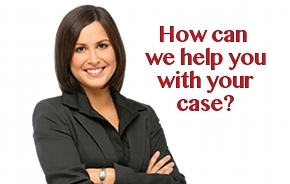 For a free evaluation of your case, please contact Gilman Law TOLL FREE at (888) 252-0048.